Managed IT Archives - Bryley Systems Inc.
Let security and confidentiality be your watchwords! When it comes to safeguarding your CPA firm’s confidential data, there is zero tolerance for risk. CPAs rely upon various forms of technology to gather data – whether it is a tax return or an independent audit. CPA firms have made great strides by implementing such technology as electronic data management systems, client portals, and cloud-computing systems. However, records maintained by CPA firms must remain confidential because of professional standards, statutes, and regulations governing record retention. Data breaches can happen in numerous ways, including the following: fraud, hacking, improper disposal of data, or even a lost or stolen device. Endpoint security. Endpoint security requires each computing device on a corporate network to comply with established standards before network access is granted. These measures protect the servers and workstations and include safeguards such as administrative access limitations and anti-virus protection. Network monitoring. Part of the control environment should include a frequent and ongoing monitoring program for all IT systems. 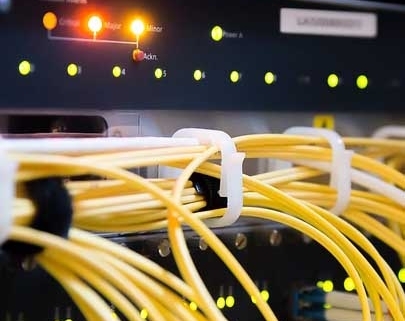 Comprehensive Support Program™ (CSP) — Bryley provides ongoing, proactive maintenance and remediation support to ensure a stable, highly-available computer network. Our most-popular Comprehensive Support Program (CSP) consolidates all end-user devices (mobile and desktop), servers, and computer-network equipment issues into one, Bryley-managed, fixed-fee program. Among the many services delivered under the Managed IT umbrella, Bryley installs and manages all software updates and patches. Secure Network™ (SN) – An ongoing, managed-IT service that prevents intrusion, malware, and spam from entering the computer network through its Internet gateway and can restrict web-site surfing to inappropriate sites. 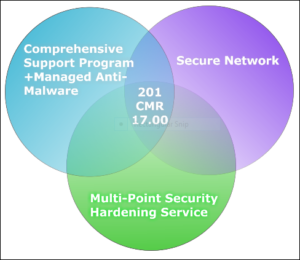 Multi-Point Security Hardening Service™ (MPSHS) – A periodic review to harden your computer-network security by reviewing/updating policies and configurations and testing. With this program, Bryley Systems can help your organization comply with the technical aspects of Massachusetts 201 CMR 17.00. 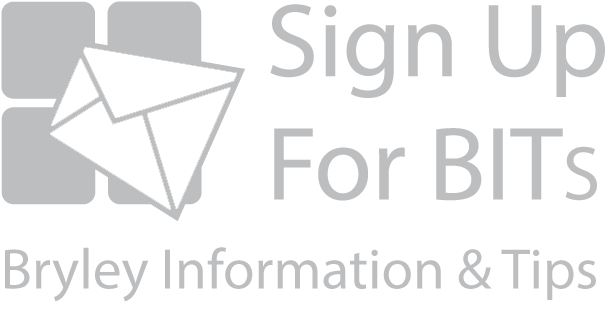 If you are looking for a business partner to help you navigate the ever-changing technology and cybersecurity landscape, we’re here for you. For more information about Bryley’s full array of Managed IT Services, Managed Cloud Services, and Cybersecurity Services please contact us at 978.562.6077 or by email at ITExperts@Bryley.com. Time for a Server Refresh? There is no crystal ball for an IT manager to look at to accurately predict when a server will need to be replaced, but there are some general guidelines you should observe to ensure that this critical piece of equipment is running properly. A server refresh cycle is the length of time that typically passes between installations of new servers. Generally, the refresh cycle averages 3 to 5 years. Replacing your server will allow your organization to deploy updated equipment intended to improve reliability, enable new capabilities and save money in the long term. Is your equipment more than 3+ years old? If your server is three years old (or more), you should seriously consider replacing it. Your reaction may be “I just bought it”. You may be tempted to try to squeeze a little more life out of it. You definitely could do that – perhaps you already have, but the reason you want to replace a server after three years isn’t just to avoid a potential server outage. If a process takes much longer than it is supposed to, lost productivity costs your organization money and that lost time adds up. Warranty. Your server should never outlast the warranty it came with. The reason you will want to replace your server after the warranty runs out is that if it crashes, you will be able to get it fixed or replaced. At the point in which the manufacturer is not going to do this, you should take this as a sign that your server may have reached its use-by date. If your server has a very high workload, it may limit its lifespan. When you’re choosing your new server warranty, they often come with different support levels to fit your needs. Typically, it covers replacement parts and an on-site tech to replace those parts. Hardware Support. When you’re considering replacing your server, you should check to see if it is still being manufactured. If your server is still in production, that’s the first piece of good news. If something breaks, it won’t be that hard to find replacement parts. If it’s no longer being built, hardware issues may be difficult to fix. The parts you may get are going to be more expensive, possibly second-hand, and may take a while to get to you. That’s why if your server is out of production, it’s good to make sure you shelve it as well. That way you won’t be hit as hard by hardware failure. Much like with a warranty, if your manufacturer has decided to shelve the server, it’s likely you should too. Your organization’s server hardware is there to support your operating system and applications that you’re running off it. If you are barely running Windows Server 2008 properly, then it won’t handle moving to 2012 or 2016. When you’re upgrading your operating system, it is the perfect time to upgrade your server as well. This effort will take some planning and additional work, but doing it in a phased-approach is much easier. https://www.bryley.com/wp-content/uploads/logo-340.png 0 0 ABaker https://www.bryley.com/wp-content/uploads/logo-340.png ABaker2018-01-25 09:00:242018-07-03 11:07:58Time for a Server Refresh? Based in Central Massachusetts, wild New England weather is nothing new to us. While simply making it in to work during a storm can be a significant challenge in itself, in a modern business environment, keeping essential technology systems operational 24/7 can prove even more critical. That is why we have put together this list of three best practices we recommend you follow to keep your technology working, even when you are stuck at home shoveling out your driveway. Deploying UPS devices for critical network equipment, as well as high priority PCs and workstations, is an excellent way to protect your most essential devices in the event of a power failure. This is even more critical if you have on-premise servers. 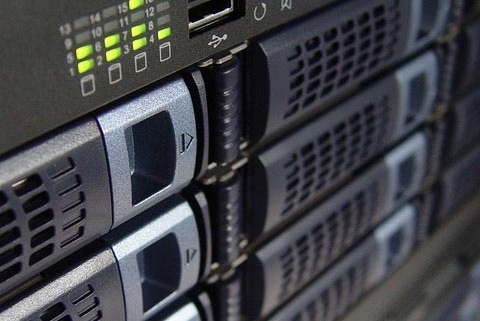 It is important to ensure that any servers are able to communicate with their UPS(s) so the server can detect that it is running on stand-by power, giving it a chance to shut itself down properly. If you have devices that must continue running in the event of a power failure, adding an in-line generator is your best bet. When the power goes out the generator takes over, powering equipment and feeding UPS devices. At Bryley Systems we utilize an in-line generator to ensure that our local data center is always operational, no matter what. It is a good idea to develop a disaster-recovery plan that includes the ability to migrate to a fail-over site in the event that your primary data center becomes unavailable. This will ensure that your data is always accessible, even under the worst of conditions. You can learn more about how Bryley Systems is able to ensure business continuity through the use of our own fail-over site on our Back Up/Data Recovery page. Bryley technicians recently assisted one of our clients from what could have been a serious situation. The client’s server went down, and Bryley techs responded quickly to the matter. Actions were performed onsite, but further testing needed to be performed back at the Bryley Office. It was determined that the client’s server was overheating and needed to be replaced or they risked losing their data. Luckily, Bryley had a spare server that ran on a similar operating system, so technicians were able to move it over and recover their information. The client was pleased to have their data recovered and is conducting regular backups. We are extremely fortunate to recover their data, but this case highlights the importance of regular checks of one’s equipment as well as conducting backups on a reliable service, such as Bryley’s. Let Bryley help you double-check your IT infrastructure, recommend solutions to eliminate weak links in your security chain, and help you develop an organization-wide policy to help prevent data loss. Contact us at 978.562.6077 or by email at ITExperts@Bryley.com. We’re here to help.